ionBooking 1.4 - Completely Refactored! 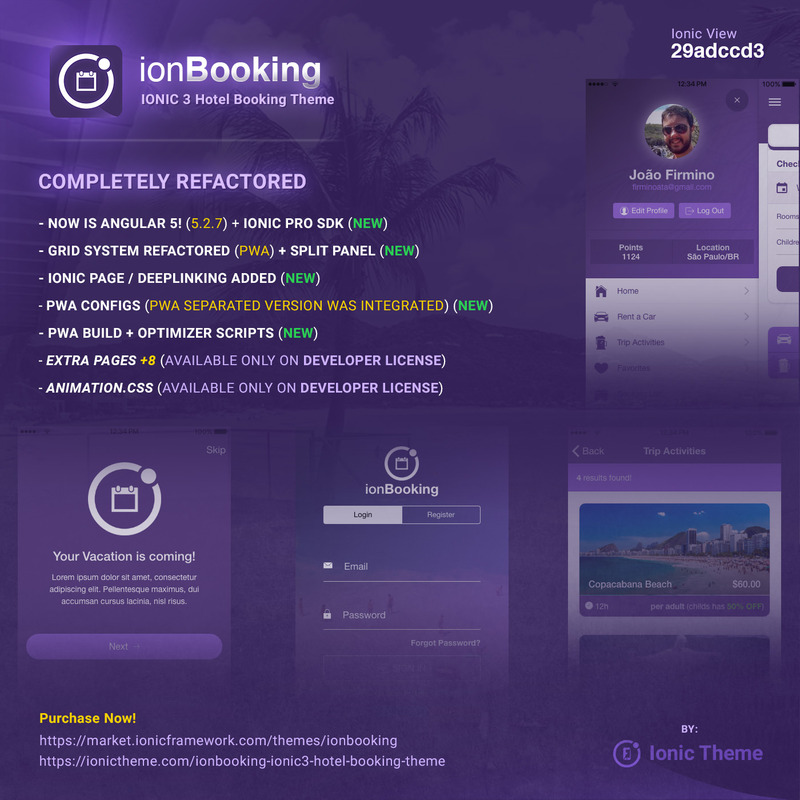 the last friday we re-released ionBooking Theme after 6 months of its first release, and now in its version 1.4. It has been completely refactored, now it has IonicPage / Deeplinking, PWA version integrated in a single theme (2 in 1) with exclusive scripts to build for web. 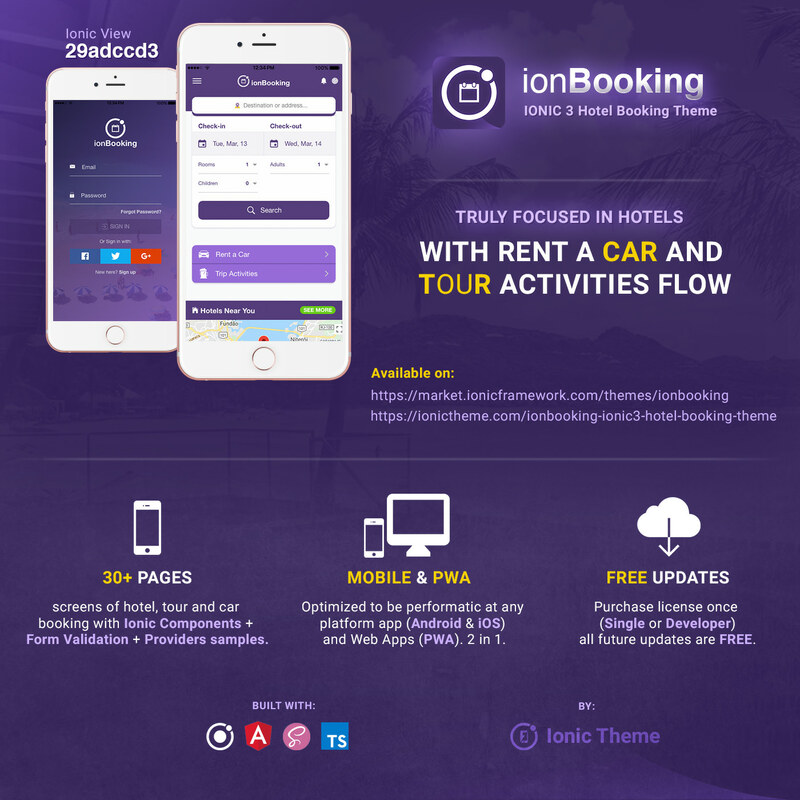 Better than ever and totally revamped, now ionBooking is a more complete and performatic theme. If you have already bought the theme, don't worry, for you it's just another update and is now available for download. If you have not already purchased, take advantage of this opportunity by buying for only $19 a single license or $38 for a developer license. Many thanks for you all, the next refactor will be immediately to other themes: ionProperty and foodIonic! coming soon. Ionic Theme updates and 2019 news are coming!